Aviation can be an alphabet soup of acronyms and abbreviations—none more so than air traffic management with its disparate collections of capital letters: VOR, DME, NDB, RNAV, RNP, PBN, ADS-B, VHF and SATCOM. One acronym is significant because it describes a new system of communication, navigation, surveillance and air traffic management—CNS/ATM. CNS/ATM brings together satellite and digital communications, performance-based navigation (PBN), and automatic dependent surveillance broadcast (ADS-B). These modern technologies are supplanting what could broadly be called legacy technologies: radio, ground-based navaids and radar. Under the new CNS/ATM regime every aspect of how aircraft communicate, navigate and present their position to air traffic control will be different—and better. And while many of these digital technologies are not new—GPS has been in Australian civil aviation use since 1995 for example, what is new is thinking of them as an integrated system of air traffic management. ‘Since the 1960s there has been around 5–7 per cent year on year growth in air traffic,’ Doggett says. ‘But airspace is a finite resource; the capacity of any volume of airspace is directly proportional to the separation standard applied. Why CNS/ATM? The legacy air navigation, surveillance and communication technologies never had an acronym. They were not considered as an integrated system—they simply evolved to meet civil aviation’s maturing airspace management needs—until now. The present ground- and nation-state based legacy technologies are nearing their limits—unlikely to be able to meet the challenges of unprecedented aviation growth, nor to allow for safe and seamless expansion of air transport over the next 20 years. According to the International Air Transport Association (IATA), as many people will travel by air over the next 20 years as flew in the first hundred years of aviation. In short: it’s going to become crowded up there. And ground-based systems, using different standards and regulations region by region will be unable to cope. CNS/ATM, using the same technology, but a focus on global performance standards rather than technology-specific one, offers the flexibility needed to cope with this growth. The ability to locate an aircraft to within metres, rather than nautical miles, is necessary for safe flight in the busy skies of the future. Doggett names cost and environmental considerations as two other factors. ‘Satellite technologies are higher performing and much more cost effective. Ground-based systems take up ground space—at a cost—and are subject to terrestrial events such are severe weather,’ he says. ‘Environmental considerations mean that aircraft need to be able to climb to their initial cruise altitude as quickly as possible, without hindrance from ATC, and then remain at the cruise level as long as possible. ‘The aircraft descent should commence as late as possible and allow a flight idle descent to final approach. This requires modern CNS/ATM technology’. 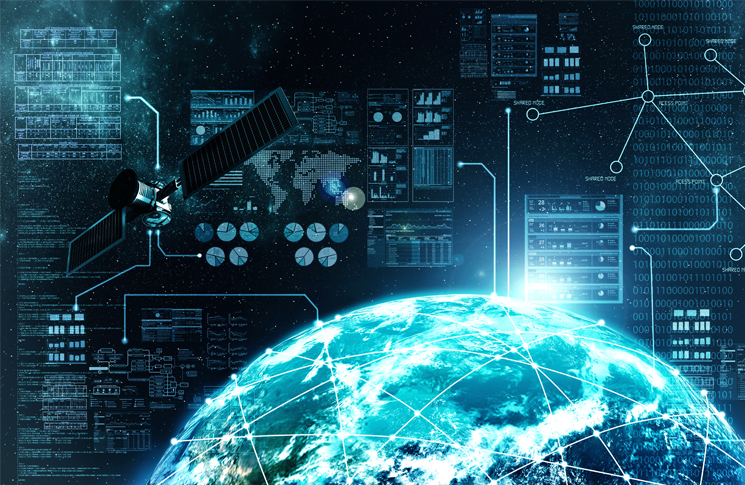 Communications, navigation, and surveillance systems, employing digital technologies, including satellite systems together with various levels of automation, applied in support of a seamless global air traffic management system. CNS/ATM is a set of standards, rather than a specific technology. Radar and VHF radio are line-of-sight, and therefore of limited range. Over oceans, aircraft are out of radar range and used the notoriously unreliable HF radio for voice communication, which is inefficient. They can transmit only a limited amount of information, insufficient for automated systems to operate effectively. They require large and costly structures on the ground, each one of which serves only a limited area. Accurate—global navigation satellite systems, such as GPS, the Chinese BeiDou, the Russian GLONASS and the European Union’s Galileo have accuracies measured in single metres, or even less when augmentation systems are used. None of the technologies in CNS/ATM are new; indeed they are mature. What is new is the recognition of the benefits of introducing a system based on these technologies. They deliver the greatest benefits when used as part of a system. Boeing discovered this in the 1980s, when it introduced an avionics upgrade package for the 747-400. The package included GPS integration, controller to pilot data link communication (CPDLC), automatic dependent surveillance contract (ADS-C), company data link and other functions. But take-up was disappointing—very few airlines bought the package—and it was soon withdrawn. In an aviation world still organised along analog lines, an aircraft-only system could not then deliver on the promise of its technology. Airlines were not prepared to buy capability they could not use. Butcher says the ADS-B component of CNS/ATM and arrangements to share this information with Indonesia, is already delivering efficiency and safety gains. ICAO says improvements in air traffic management could help reduce aviation fuel burn, and thereby reduce the levels of aircraft engine emissions. This can be achieved by more direct routes, less need for holding, better access to optimal cruising levels and constant descent approaches where engines can be throttled back for a steady near-glide to the threshold. The seamless integration ICAO refers to is ‘rapid and reliable transmission between ground and airborne system elements’. The promise is that more accurate and reliable navigation systems will also allow aircraft to navigate in all types of airspace and operate closer together with the same or better safety than they do under current separation standards. For navigation, the major benefit of satellite technology is its flexibility. Ground based systems are at a fixed location, so aircraft have to fly relative to that location, like vehicles in a road or trains on tracks. With satellite navigation, an aircraft can navigate to any specified location and get there using optimum flight paths. It opens short cuts in the sky and sets aircraft free of fixed routes. Aviation’s traditional means of communication has been VHF radio, with its distinctive, poetic mixture of jargon and polite formality. VHF has two limitations: the speed of human speech and the number of speakers. The system can transmit information only as fast as a person can speak legibly, and it cannot handle multiple transmissions at the same time. As with any finite resource, growth brings pressure to use radio spectrum more efficiently. “VHF Comms is a good example, ‘Doggett says. ‘channel spacing started off at 100 kHz, then 50 kHz, then 25 kHz and now 8.33 kHz. ‘Voice comms is, technically, very inefficient; there are about 50 standard ATC messages with about 25 in regular use. By using CPDLC, bandwidth and time are reduced markedly. Voice transmission, however, is hard to beat in emergencies. Aside from its communication advantages of nuance and tone, many pilots have spoken of the reassuring effect of hearing an apparently calm controller’s voice. This will continue under CNS/ATM. Routine ATM air-ground communication services will use data communications with voice used for real-time, critical, non-routine communication. CPDLC, used in Australia since 1998, is a means of communication between ATC and pilot, using a data link instead of voice. ATC uses CPDLC, a two-way data-link system, to transmit non-urgent ‘strategic messages’ to an aircraft as an alternative to voice communications. The message is displayed on a flight deck visual display. CPDLC is used in oceanic airspace, instead of the unreliable and distorted sounding HF radio. It can also be used in other airspace at the discretion of the controller. 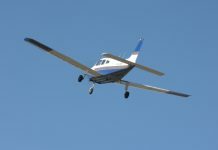 Aircraft can reply to ATC with a standard format message or in free text. Messages from a controller normally follow a standard format, with response required to most messages. CPDLC’s advantages include: reduced congestion of voice channels, fewer communication errors and reduced workload for pilots and controllers. Performance-based navigation (PBN) is the ‘N’ (navigation) part of the CNS/ATM concept. PBN standards require a certain level of navigation accuracy, or performance. Required navigation performance. (RNP) navigation equipment must have on-board performance monitoring and alerting systems to provide assurance the system is working properly. Like all CNS/ATM standards, there is no specified technology, but in practice the only technology that meets the standard is some form of global navigation satellite system (GNSS) such as GPS. ‘Satellite technology has enabled services with enhanced performance that were previously limited to continental operations to be provided in oceanic and remote continental areas,’ Doggett says. PBN’s accuracy and cost advantages make it hard to justify maintaining an extensive network of old-technology navaids, such as VORs and NDBs. Airservices will maintain some as a back-up navigation network, but decommissioning of 181 legacy navaids will commence on 26 May 2016, by which time all IFR aircraft will need to be GNSS-equipped. CASA has mandated the use of GNSS technology for all IFR aircraft operating in Australian airspace by 4 February 2016. The back-up navigation network will comprise 215 old-style navaids. The third part of the CNS/ATM abbreviation—the ‘S’—stands for surveillance, as in automatic dependent surveillance, broadcast, (ADS-B). This technology uses GNSS equipment and a transponder-like broadcaster to determine the aircraft’s height, position and speed, and broadcast this, along with its identity, twice a second. ADS-B uses a network of ground stations to ‘listen’ to these aircraft broadcasts and transmit information to ATC and to the aircraft, if they have ADS-B ‘in’ equipment. Australia has had an operational ADS-B network since 2009. An important advantage for international air transport is that ADS-B is seamless between different countries. ‘From a ground network perspective you will be able to fly from Australia, through Indonesia, Singapore, Thailand, Myanmar and to India with ADS-B coverage all the way,’ Butcher says. Since 12 December 2013, aircraft operating under IFR, at or above flight level 290, must be fitted with ADS-B. All aircraft first registered after 6 February 2014, also require ADS-B for IFR operations. All IFR aircraft must be equipped with GNSS. Aircraft operating to Brisbane, Sydney, Perth or Melbourne airports will require an ADS-B capable mode S transponder. By 2 February 2017, every IFR aircraft flying in Australia’s airspace, at all levels, must be fitted with ADS-B. 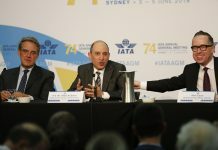 As of December 2015, 99.7 per cent of airliners in Australia met the ADS-B mandate, as did 86 per cent of business jets and 92 per cent of turboprops. By that same time, over 250 VFR aircraft were also ADS-B-equipped, voluntarily, enjoying the traffic awareness and visibility benefits the system provides. The chief air traffic management benefit of CNS is reduced aircraft separation in IFR. Aircraft can now be operated closer together, with no compromise in safety. ‘GNSS enables us to reduce route spacing for greater efficiency,’ says Butcher. Separation standards in oceanic airspace have reduced from 180 nm, to 50 nm, to 30 nm, with the prospect of satellite-based ADS-B systems allowing minimums less than 15 nm. While relatively new, none of the technologies in CNS/ATM is novel. All are in use to some degree. But by considering them as a whole, and emphasising how their interactions lead to safety benefits, CNS/ATM is a system-wide way of thinking about aviation. In accident analysis and safety management systems (SMS) system-wide thinking is already producing safety benefits in aviation. CNS/ATM has the potential to extend those for every flight. As a soon to be qualified commercial pilot it’s fascinating to read about the future of aviation operations and the enormous evolution technology has delivered over such a relatively short time. From 180nm to separation standards of less than 15nm perfectly illustrates just how busy our skies will become.